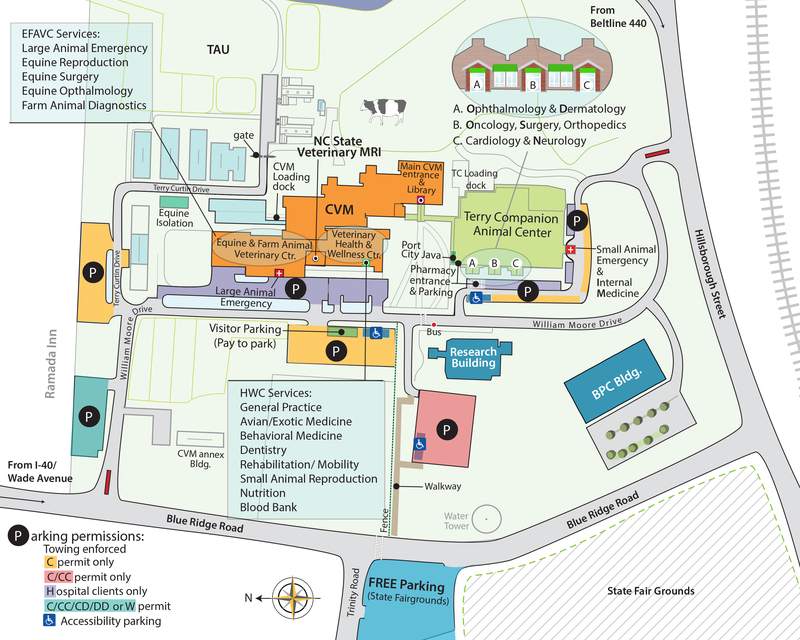 The Nutrition Service at North Carolina State University’s College of Veterinary Medicine has increased its clinical staff and is expanding veterinary nutritional expertise and support to North Carolina dog, cat, and horse owners as well as referring veterinarians. Dr. Rebecca Remillard has joined the Nutrition Service staff in the CVM Veterinary Health and Wellness Center after nearly 20 years as a nutritionist at Boston’s Massachusetts Society for the Prevention of Cruelty to Animals (MSCPA)-Angell Animal Medical Center. She joins Dr. Korinn Saker, who is the director of the CVM Nutrition Service. Dr. Saker and Dr. Remillard are both Diplomates of the American College of Veterinary Nutrition (ACVN) and together they are expanding services and support to pet owners and referring veterinarians. Owners may request an electronic nutritional consultation for their dog, cat, or horse by visiting the Nutrition Services web page and clicking on the Owner Nutrition Consult Requestlink. They then e-mail or fax the completed form to the service. Owners will be requested to provide a copy of the appropriate medical records if the animal has a medical condition. If preferred, in-person office visits with a nutritionist may be arranged. Veterinarians need only to complete the Veterinarian Nutrition Consult Request and then e-mail or fax the completed form to the Nutrition Service. The Nutrition Service offers commercial diet recommendations for pets, customized weight management programs, and nutritional consultation for conditions such as diabetes, kidney, and liver diseases, or urinary stones. CVM nutritionists can evaluate the patient’s current diet and, if needed, suggest appropriate changes or substitutions to ensure a complete and balanced dietary intake for your pet. Nutritionists can also formulate a complete and balanced home-prepared diet if there are no appropriate commercial diet options or if there is simply a desire to cook for your pet. Full services and associated fees are described on the Nutrition Service web page.